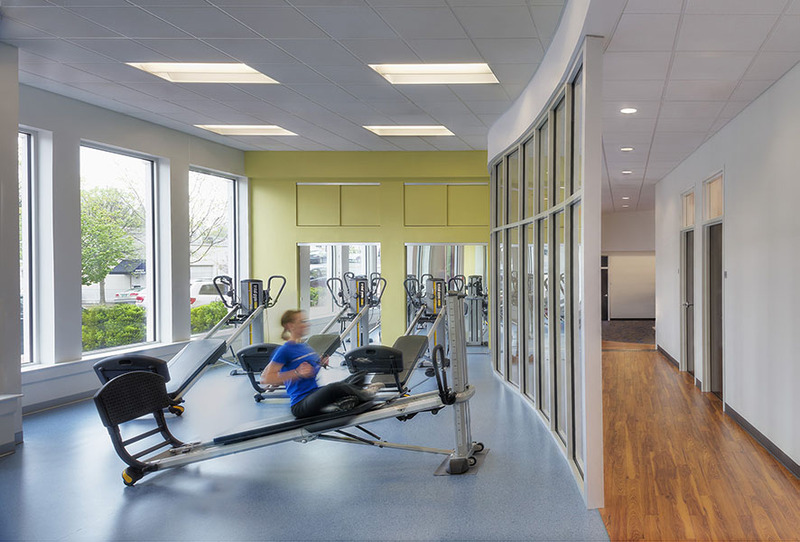 The design of Body Dynamics’s studio provides specific activity areas within an open floor plan flooded with natural light. The soft curves of the plan reflect the curves of the new branding and logo design - also developed for Body Dynamics, Inc. The result is a seamless marriage of place and identity, inspired by the fluidity of the space. 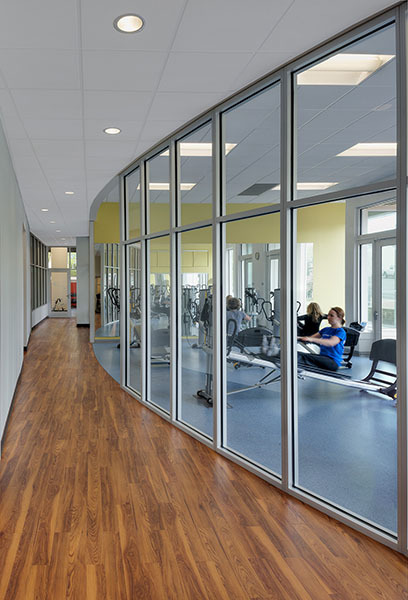 The concept is carried along the winding walls of the corridors, along the circular lines of the bright weight rooms, and spirals around the reception and waiting areas. 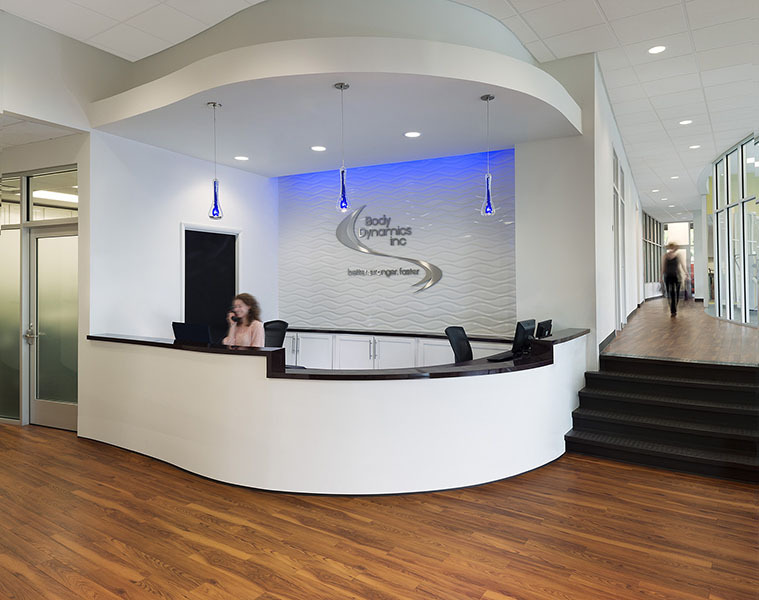 In addition to the physical therapy services, Body Dynamics offers sports enhancement training, personal training, dance and fitness classes, massage, and acupuncture.